Speaking on the occasion of the 39th Annual General Meeting of the national apex body of fisheries cooperatives Fishcopfed, its Chairman T.Prasad Rao Dora said it is imperative to take Fishcopfed on board if the Blue Revolution has to succeed in the country. Highlighting the strength of cooperatives Dora said “as many people as the population of USA are members of cooperative in India; such is our strength. But in order to realize our potential we must organize and be proactive; nobody will help us, we have to help ourselves”, said Dora. Fishcopfed, this year again was not able to get out of the red. 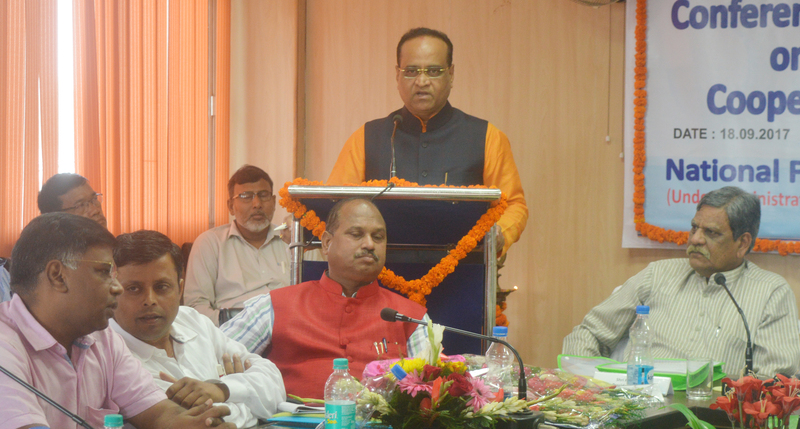 Lamenting the govt apathy, MD B K Mishra said “Because of a delay in the release of service charges by the Agriculture Ministry, our balance-sheet remains wobbly. “Despite introducing several other schemes including marketing of CIFAX in the last fiscal year for generating income, the Fishcopfed incurred a loss of 1.20 crore, said Mishra. He felt the government is neglecting fisheries co-operatives. 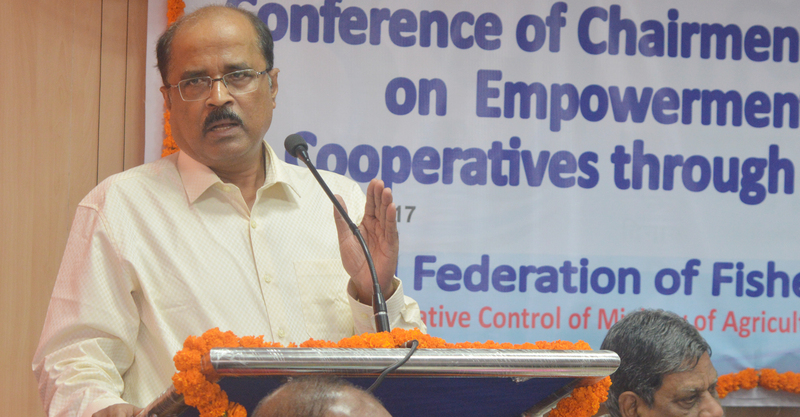 On the occasion, a conference for Chairman and Chief Executives on empowerment of fisheries coops through blue revolution was also organized. Delegates shared their views and suggestions on the issue. NCDC’s Joint Managing Director D N Thakur was the chief guest and despite his tight schedule due to the upcoming event on September 21, he addressed the delegates. He is busy in connection with a program on Laxmanrao Inamdar scheduled to be inaugurated by PM Narendra Modi at Vigyan Bhawan tomorrow. AGM saw participation by delegates from across the states. The event was organized at Sarita Vihar headquarters of Fishcopfed.